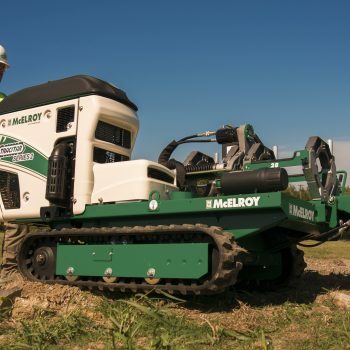 TULSA, Okla. — McElroy has designed the first all-in-one fusion tool for outlet fusion of polypropylene pipe — the Hornet™. 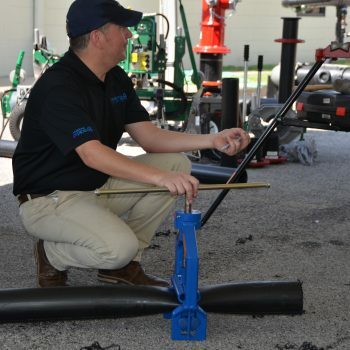 The patent-pending Hornet helps installers maintain perfect alignment of the pipe and fitting for more efficient and accurate fusions with less time and strain compared to manual methods. The unique, “V-base” design of the Hornet allows it to self-align on the center of the main pipe. 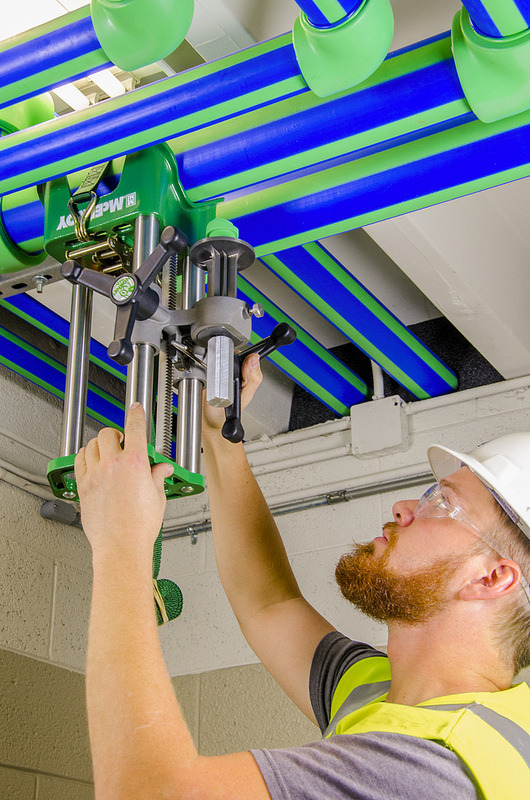 A slide-mounted precision carriage guides the drilling of the outlet hole and fusion of the fitting — keeping everything perfectly aligned to produce consistent and accurate fusions. 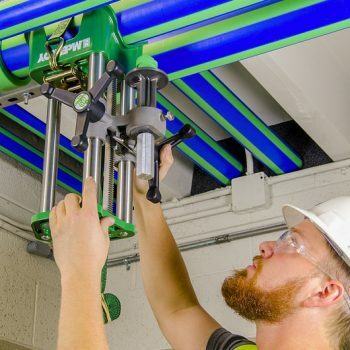 With a small footprint and weighing just 13 pounds, the Hornet is capable of performing outlet fusions in any orientation — making it ideal for overhead and vertical fusions in tight spaces. The Hornet works with all McElroy socket heaters and fusion outlet adapters for polypropylene pipe from 20mm to 63mm on mains up to 630mm. Each socket adapter is Teflon-coated for durability and long life. The Hornet utilizes small McElroy heaters that feature a micro-processor control and dial thermometer for precise, reliable temperature. Built to withstand tough environments, the Hornet comes with an industry-leading 5-year warranty. Download a high-resolution photo of the Hornet from our website.